The truth about hardwood flooring! Believe it or not, there are actually myths about hardwood flooring. These misconceptions are largely because of competing advertisements making all kinds of claims. As with any other home improvement project, it is extremely important that you do your research to weed out the myths and make informed decisions. There is quite a bit of variation in durability and hardness amongst all of the different wood species that are available. 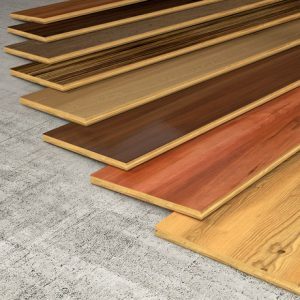 There are also numerous wood finishing products on the market that can be applied to help extend the life of your hardwood flooring. As long as you make sure spills are cleaned up promptly and re-finish when necessary, you kids and pets won’t cause any lasting damage to your flooring. While we do admit that hardwood does often show dust faster than other types of flooring, this isn’t necessarily a bad thing. If there are people in your home who suffer from allergies or are otherwise sensitive to things, showing you that there is dust will help you know exactly where to clean. Eliminating dust as soon as you notice it will significantly improve the air quality in your home. It will also save you money on heating and air conditioning. All of that dust that would be caught in your home’s air filter will be trapped with a mop or other cleaning instrument and tossed in the trash. Actually, this statement couldn’t be more false. According to real estate agents all across the United States, adding hardwood flooring to your home can actually raise the sale price of your home as much as 10%. Home buyers want to see hardwood flooring in the homes they are shopping for and are willing to pay top dollar to have it. This makes hardwood a sound investment, not only in your home but in your future. Those who say that maintaining hardwood flooring is too hard just aren’t doing it right. It is extremely easy to maintain your hardwood flooring. All you need to do is sweep it regularly and mop it with a vinegar and water solution when needed. That’s it! To make sure maintenance stays simple, you should make sure you refinish as often as is recommended by your hardwood flooring contractor. This entry was posted on Friday, September 15th, 2017 at 1:39 pm. Both comments and pings are currently closed.